This weekend, I did an experimental “prophetic business incubator” with 33 professionals. The location was Moravian Falls, on the property where Rick Joyner (one of the All-Time Top 20 Christian Authors) writes his books. He told me it is a unique geography with an “open heaven” for writing. My partner for this experiment was Dave Yarnes, a brilliant licensed commodities broker by day (and VP of Morningstar Ministries when not doing 500 million a month in currency trades). We both shared our perspectives on the prophetic process for seeing your future business and building into it from where you are right now. It’s a combination of Personal Convergence and Organizational Convergence! Moving AS ONE! … a slice of heaven on earth. The Convergence Code ™ is all about becoming the person you are uniquely called to be so that you can create the job you are uniquely called to do! Once you step into that role, you are the smartest person in the world in that assignment! 1. If you want wind in your sails and sales in your wind, start thinking “Kingdom” and not just business. Build a kingdom culture inside your company and make God your Senior Partner! Since the kingdom is “righteousness, peace and joy” one third of your work needs to be joyful. In other words – 1/3 of your culture needs to be fun! What percent of the time are you in the convergence zone? 3. Your culture is your brand! Values, culture and business strategy are all connected. 4. While joy (or “fun”) may seem like things aren’t serious, the opposite is true. The freedom that comes with joy enables you to have a highly innovative success oriented environment. In order to stay ahead of competition (or potential competition) you need to have an atmosphere of “urgency.” You can be seriously focused while enjoying the process of setting and exceeding your own high standards. Finding your own passion, message and gifting are part of the journey into career convergence. The atmosphere you carry needs to be one that exhibits your own personal “Zappos” list of core values. 6. It’s all about the “experience” people have when you engage them. Be focused on meeting the needs of others (customer or employer) with a “wow” experience and you’ll uncover your own unique brand expression. 7. Again, I am sharing just a snippet of information. 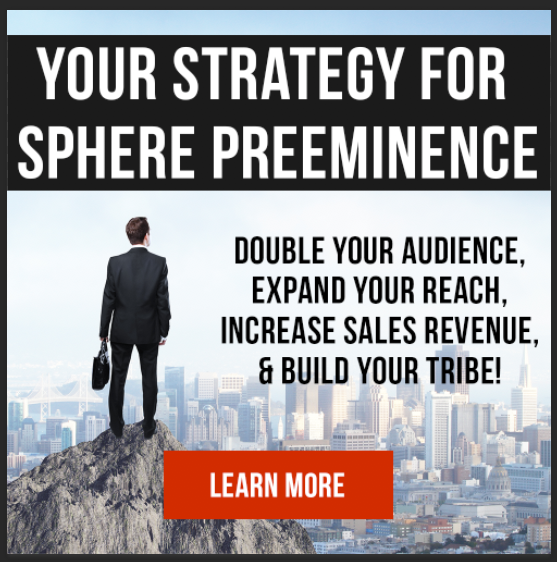 Nobody achieves recognition as an authority in their niche’ overnight, but the great news is that it is possible. In fact, it’s never been easier—especially if you start observing these things now and learn from the model others are building in plain sight. Question: Where are you in the process of convergence? Please leave a comment below. Thank you for sharing. I really wanted to be there… Maybe next time I will have the finances. Lance you have a way of putting into words things that i sense within and can hardly verbalize. I honor the gift of God in you. Be blessed!!! This is brilliant! You’ve listed in bullet points what I’ve been expressing to my husband and my kids for years. “Do the thing you were made for with all your might! Everything else will fall into place!” It is so true! I decided at 10 years old to become a hairdresser. The woman across the street from us where I grew up was a hairdresser and she was able to, seemingly with magic, get my unruly frizzy wild hair to flow like Farrah Fawcett’s! I went from crying because I couldn’t do anything with it at all, to crying because I was amazed that MY hair could do what it was doing! I knew then that I wanted to make that kind of magic for other girls. When I got to high school, vocational school was offered as an alternative to college prep and I took it! I had my professional license (and one the top 3 scores in my class on the board exams) a month before I had my high school diploma! Now, I can honestly say there isn’t a client I don’t enjoy, there isn’t a facet of the business I hate, and there is always room to grow and learn more! I am getting to do what I love and get paid to do it! Wow- love that passion, you saw it and now you have it and id bet your really good at it to.To live your passions is a truly great place! I love this post. It is both scary and trajectory building all in one. I believe (in response to the italicized question) that I have been reprogramming from what I am NOT. Over the last few years I have learned more an more about what make me tick and what I love, like, and hate. I feel confident that even in my “not knowing” I am moving closer to convergence now than I ever have in life. I am currently in the process of recovery from surgery (brain) but reading your blog has brought me some clarity in what it is that God destined for me to do!! There ARE things that I have done throughout life that have brought me great joy and I can look back (while I have this time to do so!!) and take stock of moments of breakthrough. Now is my time to begin to actually notice where it is that God is taking me. People have prophesied different things over my life and I had been confused about them in the past. I am feeling like this year is the year for these to all come together into one – and look at this, it is my 50th birthday year! While it is difficult to think with head pain, when I have moments where I CAN think… THIS is what my mind rests on…God’s plan and my stepping into it! Thank you Lance! Keep ’em coming!!! This is your Jubile year, we are to be freed from being enslave, if we choose to be so, many arent ,because they dont have that knowledge. Do a study on Jubile and see what you can believe for in your life. Good stuff! Love the peace that comes with the concept and just seems to fit like a good shoe. Kingdom culture in the work place….Love it! Hi, Alice. Spitfire Ministry sounds very interesting 🙂 I just wanted to encourage you to go for building a website! You can do it for free at weebly.com, and it is very simple…it has a drag and drop format, and also a blog format. I am working on a new website, but I included my old one here so you could take a look. I understand what you mean about being stuck. I feel that way too. I keep praying to be able to see past the obstacles to the road ahead. Grace, Grace! This would work well in homemaking and advancing the kingdom of Yah through family members. The idea of convergence or even of being more than just a wage earner was so foreign to me ,until we discovered Lance, now we are building a business for businesses around night dreams and loving it.Life breeds life! Dearest sir, you’ ve driven our way of thinking into freedom concerning the business and the kingdom of God in it. Still, we would love to see a few books written by you. Is this possible? Blessings from beautiful Greece. I don’t know really. I think I need more courage. I am a software developer. I went into software development for the security of a job and the reasonable salary. I like developing and get excited about it, but at heart I am a teacher really. When I teach others I love it. So will just need to sort it our somehow. I happened to notice your comment and have 2 things…. 1. Perhaps you could teach others about software development through your own training program. You could put out videos, have classes, etc. 2. I have an idea for a software program and have been looking for someone in the business to talk to about what it would take to create. Would you like to discuss it? Awesome post! What happens when those moments I listed in #2 are like once or twice a year and less than 2-5% of my life? Is it normal to feel like you’re no where closer to doing those things than you were 8 years ago even though you’ve been as faithful as you know how with what is in front of you? How do you take practical steps towards doing more of these when the opportunities that provide convergence are not up to you besides wait on God and continue to be faithful with what is in your hand? What is my part and what is God’s part? Wow!!! Been praying for God to show me exactly step by step on the process to how to achieve this very thing…absolutly amazing so glad somebody has a message on how to find your place I could go on & on in more detail but it’s an answered prayer! Thank you very much. I honestly thank God for you. You are helping me to define things in my life. Life is getting much better as I do this. I really want you to know that God has and is using you in a tremendous way in my life. My life is better because you have lived and are in your convergence. I honor you Mr. KILLER SHEEP! This is a great post. It’s all true. So, here is where I am. I have a small staff and some of them semi answer to me and also to another supervisor. I am not complaining because we save families and children daily, it’s very fulfilling work. However, we do not have the human resources we need to cover 11 literacy and early childhood programs stretched across our state – soon to be 12. How do we push aside the endless tasks and find time to enjoy? We are in satellite offices In our homes. I am on the edge of convergence and need to have success in this area of managing staff to move on. I struggle with not being able to read their body language when we talk, and not being in an office with my supervisor or senior staff to learn from them. I hat feeling constantly overwhelmed. This is a great post. It’s all true. So, here is where I am. I have a small staff and some of them semi answer to me and also to another supervisor. I am not complaining because we save families and children daily, it’s very fulfilling work. However, we do not have the human resources we need to cover 11 literacy and early childhood programs stretched across our state – soon to be 12. How do we push aside the endless tasks and find time to enjoy? We are in satellite offices In our homes. I am on the edge of convergence and need to have success in this area of managing staff to move on. I struggle with not being able to read their body language when we talk, and not being in an office with my supervisor or senior staff to learn from them. How do I grow in this area? So many things are seeming to come to prepare for convergence, and I’m having to deal with major interference as well. There is strong temptation to be discouraged but also God’s daily reminder to “rejoice always!” So I continue on – in hope, in the faith that I have, in the encouraging and the challenging that I receive from my apostolic alignment and from the little things I hear Him say to me in my days. One thing I know – my God is very big to me, but He needs to become sooooo much bigger. Thank you Lance for giving yourself to educate and prophetically encourage the Family! Im clearly in this process. Mentally I have transitioned to understand the process, but physically the transition seems protracted and difficult. Awesome article! Very helpful…thank you for the practical application. I’d like to read more about timing. How do I discern the right times and seasons to step into the next phase God has planned for me? I get so excited and eager about stepping into the “dream” God has placed on my heart, I don’t want to step ahead of His timing. I would like to hear more about the destiny process . Ex: The process Joseph followed to fulfill his destiny . Thanks see you at covenant :•) . Lance, thank you for all you do to move us along. Heard you @ Messiah in 2008 and have eagerly listened & read nearly every morsel you have passed on. Please do not leave the scriptural applications out of your instructions. The sling-shot principle really registered with me and my life has changed greatly from hearing you teach it. The “Success Keys” were timely as I was actually on a sabbatical when I read it. The sabbatical was for seeking the LORD’s face concerning my life, gifts, talents and direction after quitting my hourly wage job. THIS article is follows suit. Thank you for listening and Baruch HaShem for getting me to conference in 2008. (had no plan to go, someone prophesied I needed to be there, that there was something there that I needed to hear; shrugged it off, someone else called to say the LORD laid it on their heart to pay for me to go, became a little more receptive; another offered a ride for last two days of conference; when all was done the only 2 days I was there was last two days, heard your two classes on Friday… “Gladiator” AS ONE….timely.) Again…Baruch HASHEM!!!!! i’m 65 years old and wondering when things will “converge” for me. have had a good run as gift sales rep in 2 states for 15 years. economic changes have dealt a blow. i need a change, not sure where to go, but financially i still need to work. like your material. hopefully my “destiny” work is coming soon. that has been my main prayer the last 5 years. 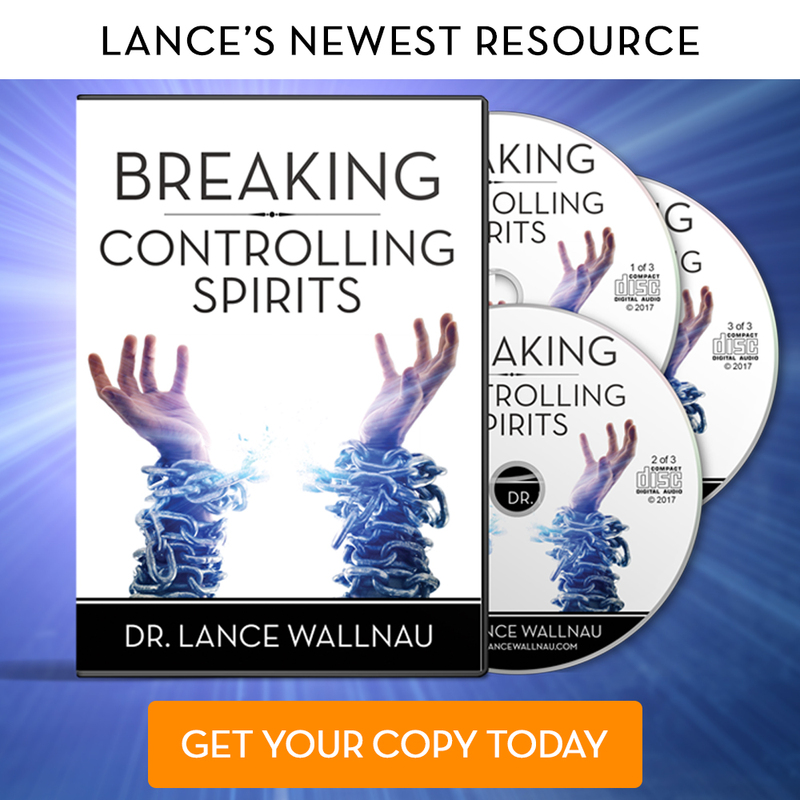 Dr Wallnau, Thank you, this is fantastic info. God was just telling me to move into all of what he’s telling me to do but to do it with JOY. Loved the statement, “It’s all about the “experience” people have when you engage them.” I am in the middle of the 7M University study and have gone from thinking that I knew what God has called me to do because I felt that that is what I should be doing to recognizing more of where my passions lie. Because my passion has to do with family and developing community that functions as a family, I would like to learn more about that mountain and effective ways of developing and implementing that vision. Lance, after I’ve read your first post on convergence I went for a short vacation to hear from God. It is so awesome how prophetic words from my past, my giftings, talents and passions all came together for me in a spotlight moment. I wrote everything down and started to pray through this. For the first time in many years I have a vision and a plan to reach my zone. Thanks so much. South Africa will be a better place because I am stepping into my zone. Every time I read or listen to you I receive a deeper revelation of how to be me in my uniqueness and so I can more effectively assist others to connect to their identity and assignment and see transformation in their lives by who they’re being and how they influence others! Thanks for bringing clarity and freedom! Thanks for sharing. I’m eating up everything that can get me to what I was created to do. Thank you, Lance! This is very helpful. I am working on building an online business for the first time, and I really love the Christian perspective! It is hard to find these type of resources. I don’t know much about business, just learning as I go. I am so glad you started this blog! Awesome teaching! I am encouraged and feel empowered for the next chapter in my career. Thank you and God bless your ministry that it will continue to inspire and evoke change for His glory! Question: Where are you in the process of convergence? I found great material here for taking action with my thought process. I’m set up my own values and listed the things that have brought me joy over the past year and outlined what I was doing. Very helpful. I’m searching for clarity right now as I am about to relaunch my blog and I believe I am in a convergence process. Thank you Lance so much! So encouraging Lance. I often wonder, Lord am I hearing right and then you speak such clarity and insight into the process. This will be such an encouragement also to our team. Thank you. Thank you Dr. Wallnau!!!! Bite size questions to help me to determine and step toward CONVERGENCE! Awesome!!!! I opened my business less than a year ago and now that I have completed some preliminary necessities it’s time to move into the next phase of growth and expansion. This model seems to fit with what I need. The info contained here is helpful to me. Thank you. Correct me if I am wrong, I read in your teaching, not just in a buiness sense, but also business in the Kingdom way and those not called to business, they also are to operate in the Kingdom. Your stiring us up to a convergence, that is so we all can also converge together into a oneness. This is why the blog was set up, so that iron can shapen iron, no one person has all the answers, but a answer may be in one of us. I needed to hear this-read this-I am building relationships and creating fans, but still feel I am in the dark regarding my GOD role. I trust it will all come together at some point but geesh I am in my 50’s it is time! i am great company with work colleagues, they invited me for the first time out for dinner. well, the joy, atmosphere was awesome, i know we will become more connected. all commented, we needed a ngood laugh, in fact tears were flowing with joy ! we have just been given a brand new mini bus to advertise our company, which is going to attract more users. i work in a centre for children out of mainstream education, also with their parents and local community. we need more staff, as we have many more referrals now, as authorities have to be extras vigilant in their care of vulnerable children and families. wqe are making a difference, joiniung with other organisastiuons who want to support, be part of our work, kingdom work ! Thanks Lance, really helpful! Am going to print off and put on my notice board. 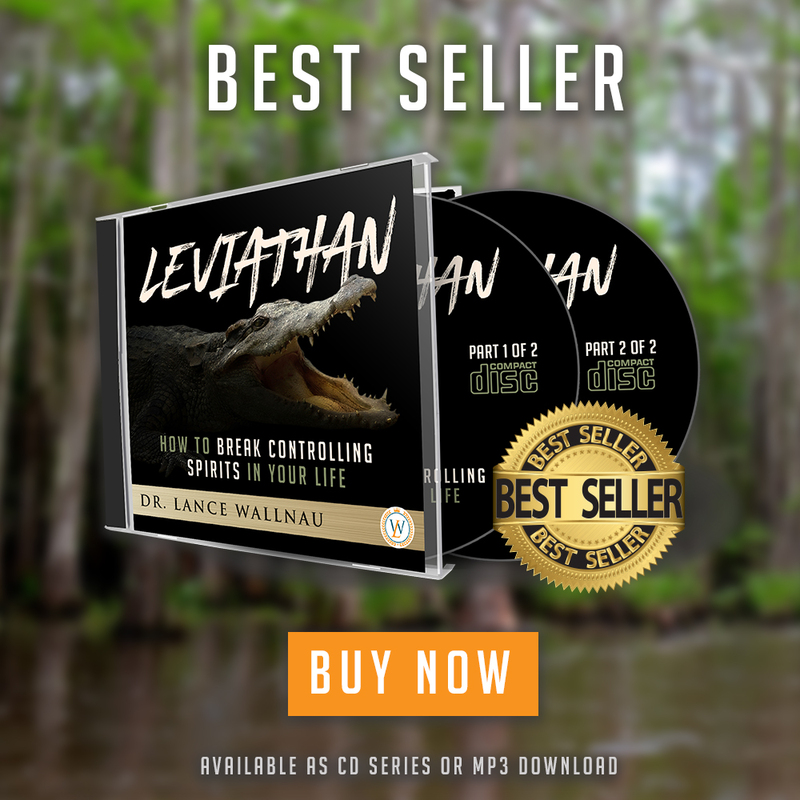 After listening to you and Dr Mark Chironna (and the Holy Spirit -dont panic) over the years I started my own business in the last 6 months. After not being able to find a job that scratched my itch and paid enough I decided to create my own! One that enables me to do what I really enjoy and what I’m good at. My job is ‘me’, out there. I also found asking myself “what would you do if you weren’t a Christian?” really helpful as it bypassed all the religious nonsense in my head. Keep it coming. It’s REALLY helpful. I am 61 years young and hoping to leave the workplace soon. I might encourage you to broaden your audience. We are not all trying to make more money although we all must prosper. I sense I am finally converging on my future “job” although it is not in the workplace. Thanks for the new insights and perspective. Much to ponder! I’ve been ready for a big change for awhile! 8 years ago I got my BS degree in human services and wanted to be a Social Worker. Life happened and I could not pursue my Masters in Counseling. I still can’t afford it. I am in a job only for the money, not living my dream in that area (for the past 15 years). I truly feel like Joseph! Other doors of ministry are opening up for me but most of my time and energy is devoted to my day-job to make financial ends meet. I like everything you send out,but I always feel like I am always left wanting and never really get to where I need to be. I feel a little frustrated. When I share some of my concerns for destiny most look at melike I just need more faith or they change the subject because they cannot answer me. I will not give up. Keep it coming! I love the idea of fun and have learned to embrace more joy as I turn 60 to be thankful and always think BIG because Ephesians 3:20 says God can do anything; far more than I can conceive or imagine in my wildest dreams through the Spirit who gently works within me! I find the greatest energy and joy in creating teams and developing synergy to hit key outcomes. There is a huge wow factor when creating something (ministry or business) from nothing or rebuilding something that was broken or deemed useless. Some endeavors have been successful, more have not been. It is not easy for me to discern what is a worthy and God-inspired investment when I see potential in almost anything. Thank you for your wise, spot-on input. I’m moving ahead, finally with my unique knowledge in the world of teaching Fastpitch Softball Pitching skills expecting to use the Internet selling memberships for exceptional insights using blogs and video, much like you do, to other teachable coaches (on one level) and young student pitchers, almost all girls,and their parents (on another level). 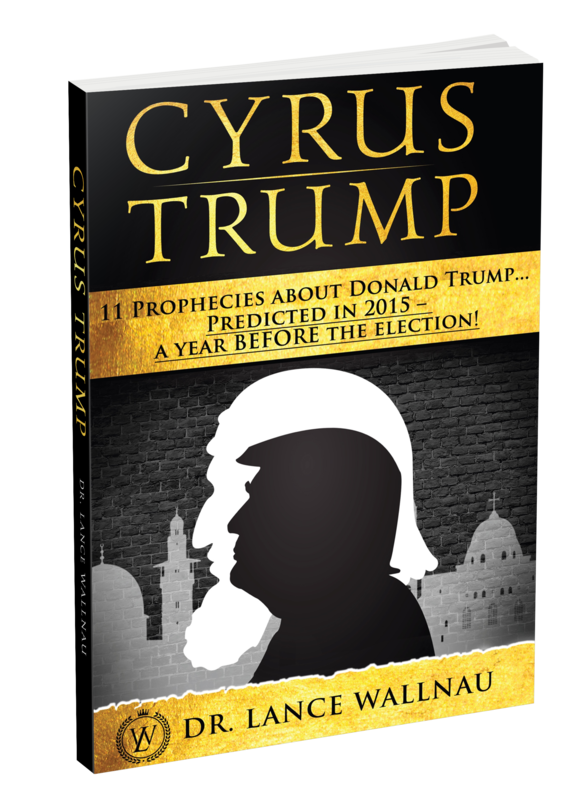 I might add- you prophesied over me in Bakersfield a couple of years ago. I appreciate and honor your ministry! May HE bless you and the team richly I love what we share Blessings!!! Lance, Last year I started a new job. A job i thought I would never have. I have so much fun at my job every day. I dont think this is my dream job. Am I in denial about convergence>? We have God as our Senior partner. Many people are thrilled with our work. Ok time to evaluate core values, can you break that down a little more? My values need to be my atmosphere>? 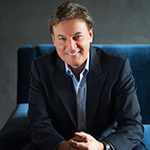 The Wallnau has been a blessing for me to really understand the work of the Holy Spirit in my career-ministry path. i wish i would have had exposure to it a long time ago. Lance bless you for your teaching. Brilliant, as usual. Fresh from the meetings at ANC I am once again renewed in my belief that the mountains are scalable. Wow, great article. Very true, every company needs to have those core values, and bringing the Kingdom to that company is part of that convergence. Not to be rude though, it didn’t really address as to how to find your “dream job”….but thank you for the insight Lance! Love you brother, God bless. Love it! Yes, I do want to read and learn more! You are such blessing to me! I would like to know about convergence. I am a stay-at-home mother/wife but I feel that this is very right and good and I would love to see my growing family get into the convergence and be there to encourage and help in any way. Go team!!! I love Lance’s timely messages. Thank you for your posts, works and services. Do please pray for me though. You’ve asked some great questions and I do feel far from convergence. My wife and i love speaking to youth about our love story, healthy relationships and purpose, but I need God to truly guide me as we seek to find balance in worth of pay and worth of service without losing ourselves. Thanks. This is some of the most inspiring readings I have read. Thanks a lot for posting. I love it! 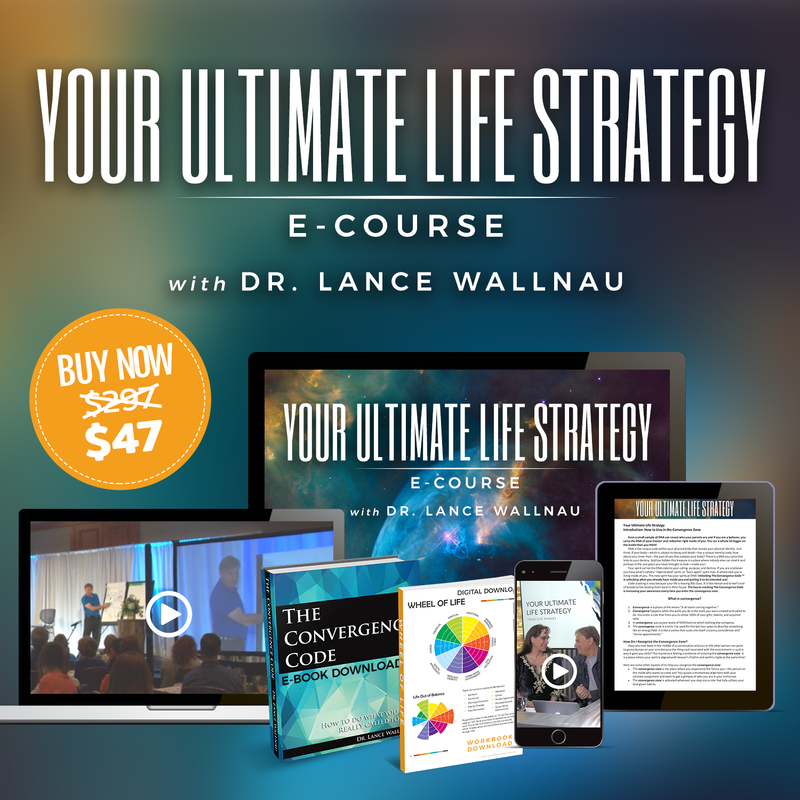 Lance… Your insights and gifting resonate inside of me like few teachers I have ever known! Thanks for so generously sharing what God is giving you!! Please stay in that Zone… We need you there!! We’dmlike to have more input from main results from the open heaven meeting. Lance, I love the topic and want to help people reach convergence. I’m the Executive Director of a non-profit in NJ that assists people in career transition. I appreciate the work that you’ve done on the topic. This helped me find “my why.” I believe pieces of my business will fall in place now. I am in the beginning of the convergence zone and praying for the people I am suppose to be doing it with. I have a concierge and event planning business. CEME. It would be interesting to create an online environment like a stadium or resort place so that people could come to your events online. That would be neat. This is awesome! Kingdom culture is the avenue to great success! Kingdom mentality unlocks doors to success in a whole new way! Much of our culture has become complacent and lackadaisical hence the lower rate of success for many business owners! This blessed me it was very good! Hello there, You’ve got done a fantastic job related. I will definitely digg it as well as privately suggest to my pals. I’m certain they are taken advantage of this web site. Jim and I want to go to inaugural ball with you.